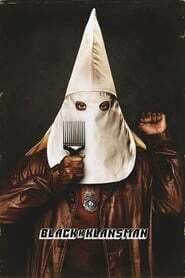 Storyline:- Ron Stallworth, an African-American police officer from Colorado, successfully manages to infiltrate the local Ku Klux Klan with the help of a white surrogate, who eventually becomes head of the local branch. Storyline:- The true story of the battle between Ford and Ferrari to win Le Mans in 1966. Storyline:- When the war ended, his battle began. Based on Laura Hillenbrand’s bestselling book, UNBROKEN: PATH TO REDEMPTION begins where Unbroken ends, sharing the next amazing chapter of Olympian. Storyline:- A team of secret agents set out to track down the Nazi officer who masterminded the Holocaust. Storyline:- The story of crime boss John Gotti and his son. Storyline:- An in-depth look at the life and music of Whitney Houston. Storyline:- The son of a Baptist preacher is forced to participate in a church-supported gay conversion program after being forcibly outed to his parents. Storyline:- American Marines discover a terrorist plot on a Paris-bound train. Storyline:- Mary Stuart’s attempt to overthrow her cousin Elizabeth I, Queen of England, finds her condemned to years of imprisonment before facing execution.